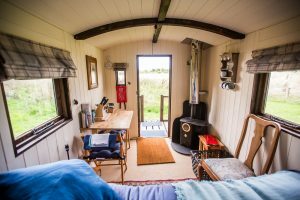 For adults only and set at the end of our orchard, the Shepherd’s hut has been designed for those who truly want a comfortable camping trip. 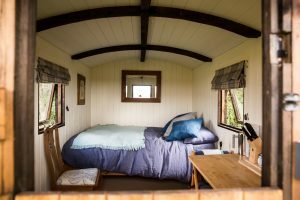 The hut sleeps up to 2 adults in a double bed. 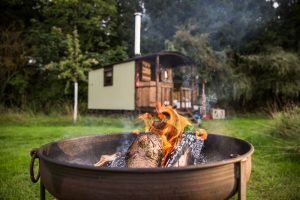 There is a wood burning stove inside the hut to keep you warm and comfortable whatever the weather, complete with solar lighting. within the hut. A welcome basket of food with tea & coffee is provided for you on arrival.